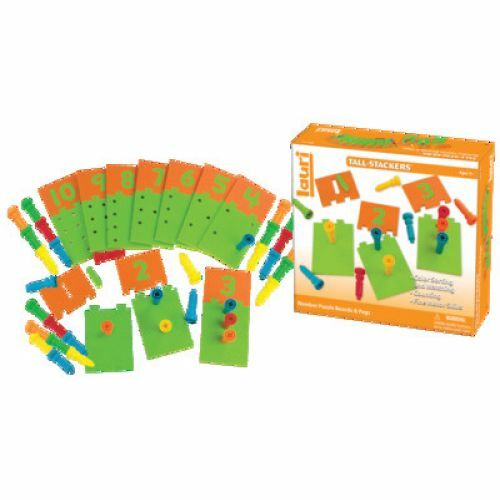 Kids learn early math skills when they play with Number Puzzle Boards & Pegs. 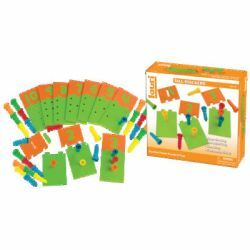 This teaching tool provides progressive challenges as kids advance. 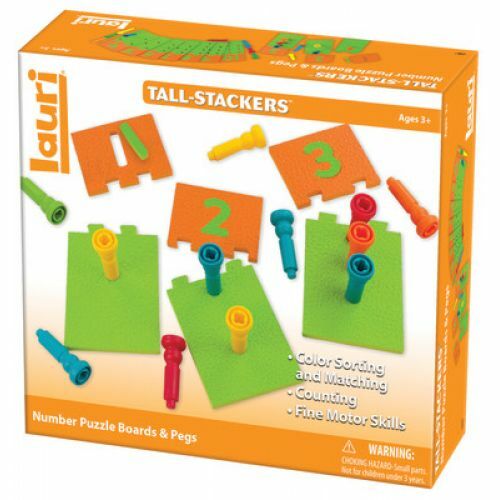 Each number puzzle connects only to the puzzle board with the correct number of holes. 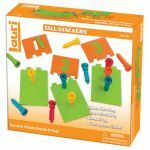 Use the self- correcting puzzles alone, or combine them with the stacking pegs to practice counting and learn basic adding and subtracting. Ages 3 and up.